The fungi season is almost here but experts warn there isn’t ‘mushroom’ for mistake while out foraging. The award-winning Kielder Water & Forest Park in Northumberland is home to England’s largest working forest, rich with fungal species that sprout over autumn. 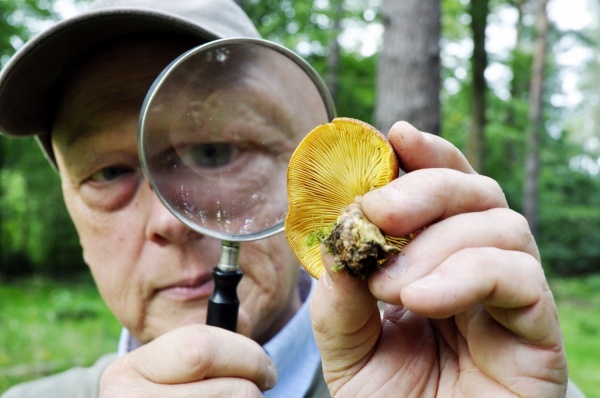 Now the Forestry Commission have teamed up with leading expert, Gordon Beakes, to stage a mushroom workshop on Saturday, September 28,2013 and help discover which mushrooms are for the kitchen and which ones are deadly. Gordon, from Newcastle University has studied the subject for 30 years. He said: “Fungi are vital to the forest eco-system, so if you do pick them, do so sparingly. The key thing is to be cautious. Some gourmet species look very similar to lethal specimens like the Death Cap. The mushroom workshop takes place at Kielder Castle on Saturday, September 28, 2013 from 11am – 4pm. It costs £20 per person and includes a light lunch. Suitable for keen beginners and more advanced foragers alike, the day will include sorting through specimens and learning how to recognise their key features. There is also the annual hunt for all things fungal with two-hour fungi walks on Sunday, October 13, 2013 at Stonehaugh, 10.30am – 12.30am and Greenhaugh, 2.00pm – 4.00pm. The forays cost £6 per person (£5 per concession and £16 per family). Booking is essential for these popular events. For more information and to book call 01434 220 242.